Have Your Ever Tried to Understand The Purpose of Your Life? We all know ‘GOD IS GREAT’. He made this beautiful world long time ago. He created humans, animals, trees rivers etc. Ever thought the purpose behind him doing this. Why did god create us and this world…?? Everything we do in our life has a purpose. The way we come into this world, grow up is unique. There can never be another you. We come into this world, live and die. Ever thought why we are brought into this world…? 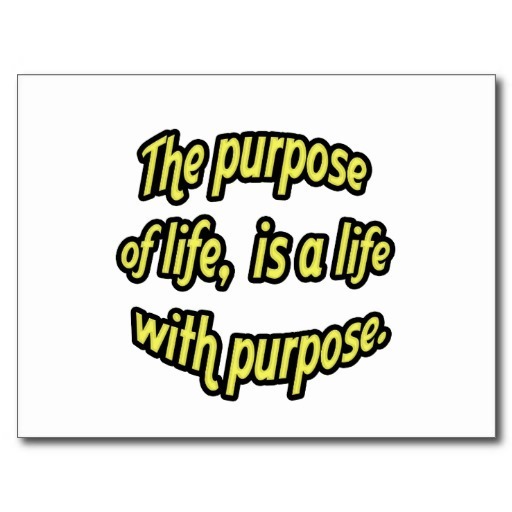 Every individual lives for a purpose. He may or maynot realize it but he will before he leaves this world. For example, World loves Sachin Tendulkar,he came into this world to play cricket, to make our nation proud and to be loved by all. Similarly some people come with a purpose to be bad to be hated. Purpose need not be big, it may be only about you ,your family a few people around you. My grandmom says that the purpose of us coming into this world is already decided and that is what we call ‘DESTINY’. All we need to do is realize that purpose. The sooner we realize the better our lives will be. Purpose is what makes us kind of person we are. We may be as good as Gandhi or as bad as Kasab. I still haven’t realized my purpose yet. Have you..?? ?